Acoustic Mayhem / Wed. July 9 / Featuring: Folkicide + Rabbit Killer + Major Matt Mason USA @ Davey’s Uptown / KC, MO | Schwervon! 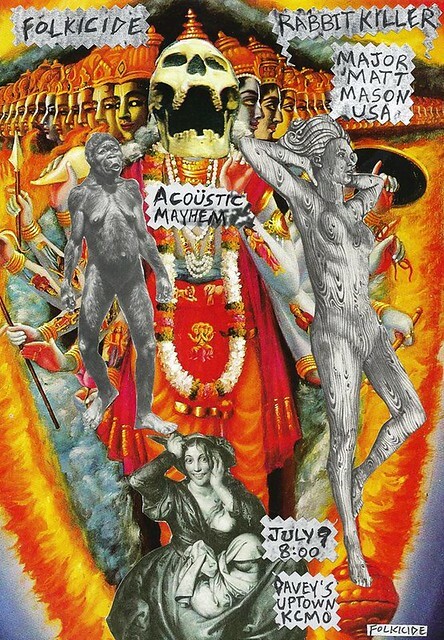 It’s Acoustic Mayhem time again featuring Matt’s solo project: Major Matt Mason USA. This entry was posted in Uncategorized and tagged Davey's Uptown flyers, Folkicide, Major Matt Mason USA, Major Matt Mason USA show, music collage poster, Rabbit Killer. Bookmark the permalink.